Ice Cube may once again be cast as a looming force of menace in the lives of milquetoasts everywhere, as Deadline reports that he’s in talks to play the antagonist in the upcoming Fist Fight. The film, which has been described as a spiritual successor to cult classic Three O’Clock High (itself modeled on the Gary Cooper Western High Noon), centers on a mild-mannered English teacher who inadvertently provokes an aggressive co-worker into a fight. Said co-worker might be played by Cube, who will presumably be tapping into the same well of anger that powered his roles in Ride Along, 21 Jump Street, and that upcoming movie where he plays the pissed-off voice in some “hapless white dude‘s” head. His target, meanwhile, might be It’s Always Sunny In Philadelphia’s Charlie Day, presumably starting at the bottom of the Charlie Day Normal-To-Manic Index and working his way up as the film progresses. 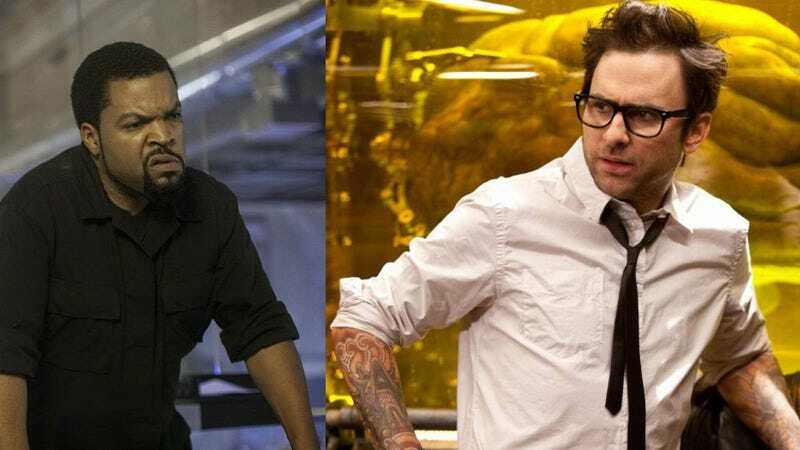 And while it might be fun if, for once, it was a mild-mannered Ice Cube being menaced by an aggressive, quasi-psychotic Charlie Day—perspectives that both actors have proven adept at in the past—it’s not like watching Ice Cube glower while Day descends into madness on screen won’t be good for a laugh.